Auto-leveling compensates for any tilt of your print bed. 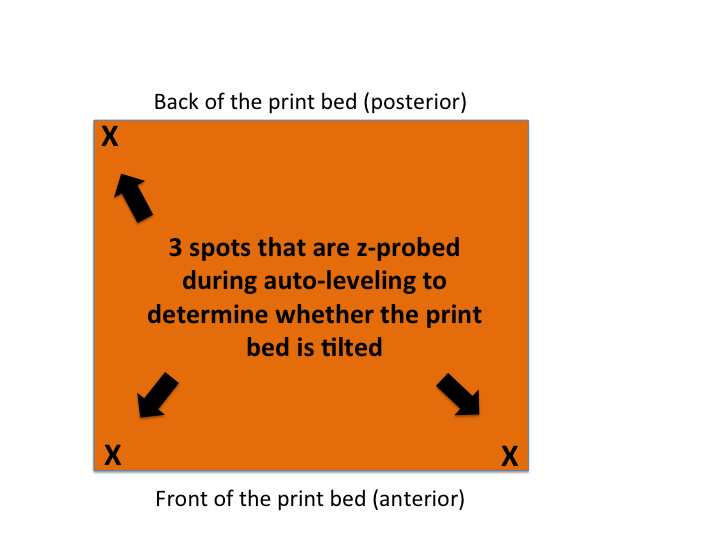 The printing software commands the z-probe (z end stop) to probe 3 corners of the print bed to determine the position relative to Z0. Any deviation from a perfectly flat print bed is factored into the g-code sent to the printer after a model is sliced. This prevents issues such as models not sticking, the first few layers being drug through one another or, worst of all, your extruder jamming into the table.